Whether you need tile, metal, composition shingles or any other custom roofing application, Apex Roofing’s expertise covers any type of roofing for your home or project. 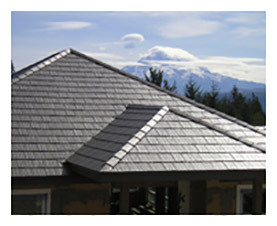 Perhaps the most versatile choice, metal roofing combines the benefits of a “green” product with clean appearance and a reputation as one of the most reliable options in an ever-expanding line of colors and profiles. A tile roof is one of the most sound investments you can make when purchasing a home or re roofing your current residence. Tile roofing is growing in non-traditional geographic areas due to its many architectural and color choices available, its energy efficiency, durability in cold and high wind climates, and its limited maintenance needs.Roof tiles come in many colors, shapes, and sizes. In fact, with modern innovations, concrete and clay roof tile manufacturers can produce tiles to suit any architectural style, from authentic Spanish and Mediterranean to New England Colonial, historic, or contemporary. The possibilities are virtually endless!